Hebei Henglipu Machinery Manufacturing Co., Ltd.
2.As the feeder made by stainless steel,so keep clean and health,easy to clean,don't pollute the feed and water. 6.Experience proved that one set dry and wet feeder can supple more than 50 pigs in two sides swinery. In-sale service: 1. Experienced workers are sent to provide track service when equipment is transported. 2) Stainless steel bottom slot and dose devices are easy to clean and disassemble. 3) Pigs can get the feed easily, feeding pigs with forage and water at the same time. we have been in providing the professional products in gestation crate field for 10 years. Trust, as our company's name showed ( Trust & Deal ), our client trust us, and we offer our best products and services in return ! 2.How about sample policy We&rsquo;d like to provide samples for you to check quality , charges depends on your purchase terms. You need to pay samples charges first, and we can return the sample charges after your bulk orders or consistent small orders! 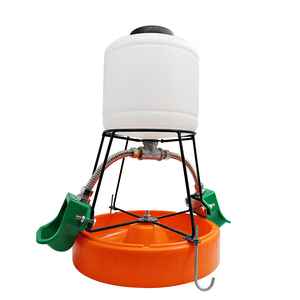 Product Name automatic ss pig supplies equipments hog feeders for sale 1. full automatic pig / sow/ hog/ pig feeding system 2. the whole system include drive system, deliver system, transmission system, feed drop system 3. install in the big pig farm, easy to install 4. Pig farm cover sow breeding farm, piglet breeding farm, hog breeding farm, swine breeding farm, pig breeding farm 5. quality accessories, 100% test before deliver 6. save time, save breeding cost 7. could set the time and feeding quality , to automatically feeding at different time. 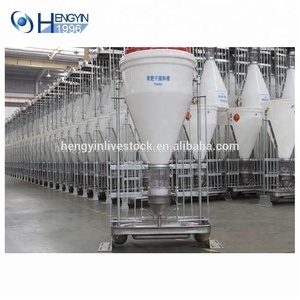 8. quickly feeding, 300pigs finish feeding within 30 minutes 9. size customized, for different pigs farm 10. Pig farm kinds, sow farm, farrowing farm, piggery farm, fatten farm, Swine Farm, Hog Farm etc. Product Overviews Pig Farrowing House Piggery, Fatten Pig farm Pig Feed Silo Successful Project Successful Pig Farming Project , Pig farm in Malaysia, Pig Farm in Spain, Pig farm in Philippines, Pig farm in Argentina, Pig farm in USA, Pig farm in Tanzania, Pig farm in Nigeria, Pig farm in Colombia, Pig farm in Singapore, Pig farm all over the world. We are specialized in veterinary products,with excellent quality as well as competitive price. We also desire to design and develop various kinds of veterinary products with special to Cooperation! 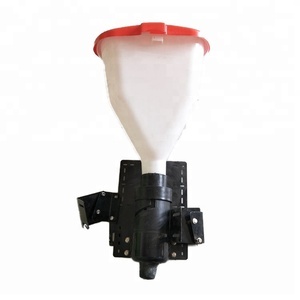 Any time contact us is convenient We will provide all the details to you during the mass production. Jinjiang Diong Hing Agricultural Machinery Co., Ltd.
Qingdao Chima Machinery Co., Ltd.
Qingdao Golden Pasture Equipment Co., Ltd.
Over the past two decades, Hualuo Agricultural Machinery persisted on the philosophy of basd on product development and innovation, keep close connection between the equipments production and actual plant conditions, guarantee the product technology updated to international trends. With the scientific design of animal husbandry poultry house, reliable product performance and high quality after-sales service, Hualuo Agricultural Machinery earns a sound reputation from customes, products are exported to Southeast Asia, Africa, Oceania, the Middle East, South America and other countries And regions, products and services of large-scale farming and animal husbandry enterprises includes CP Group, Shuanghui Group, Muyuan Group, Zhengbang Group, Elephant Group, Zhongsheng Group. To now and future, Hualuo Agricultural Machinery will continue to uphold the spirit of Focusing on innovation, work hard to provide customers with scientific and efficient agricultural and animal husbandry project solutions! 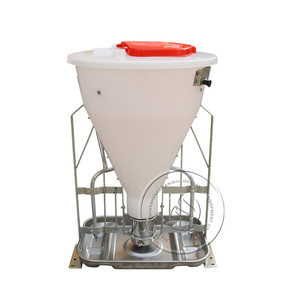 2.As the feeder made by stainless steel,so keep clean and health,easy to clean,don't pollute the feed and water. 4.The feeder can eat feed from two sides,so the pigs don't piddle,grow the weight more faster. 6.Experience proved that one set dry and wet feeder can supple more than 50 pigs in two sides swinery. 4,Up to 20 feed discharge levels for accurate adjustment according to the eating speed. Include most of the equipment and accessory that pig and chicken raising needed. How about product quality9 We have more than 20 branch companies in different city. Automatic Pig Feeder has been an importent product in the Animal Feeders market over the past year, and it was very popular in United States,Philippines,Australia,Canada and Wales; As shown in the distribution chart, market shares of these countries are folowing: [ US:47.59%, PH:15.36%, AU:7.13%, CA:3.67%, GB:3.35%, other:22.90%]. 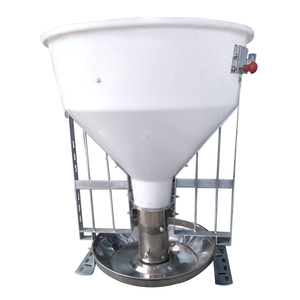 What's the trends of Automatic Pig Feeder product's market in 2018 (Dec 2016 to Jan 2019)?we have studied one years data on online sales, global shipping, search, sourcing and requirements of following products Pig Farm Equipment. Feeder,Here is the report.During the research period (Dec 2016 to Jan 2019), the major trends are as following.